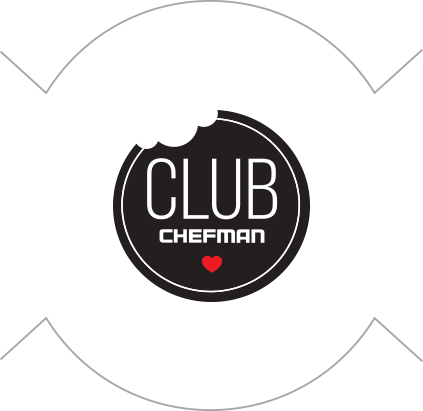 Club Chefman wants to fulfill your craziest cravings and help you master your own kitchen. When you purchase a Chefman product you will have access to hundreds of recipes, tutorials and personal engagement with a professional Chef. If you bought your Chefman appliance before Club Chefman launched, just call our customer service line at (888) 315-8407 and we will be happy to supply you with an access code! Club Chefman wants to make your experience truly unique and special, so we are giving you access to engage with our team of in-house Master Chefs. Have a question about cooking, recipes or products? Simply message us through the Contact Us page and you’ll get a detailed answer to help you make the most of your item & recipe! Insta-worthy meals are just a click away. The Club Chefman recipes have all been specifically designed for your Chefman product, so your results will be mouthwateringly delicious. Sort by meal-type, Chefman appliance, or search through our extensive catalogue of guest Chefs to find the perfect dish for every occasion. The tutorials will make you feel like you’re in a personal cooking class. Here you can find both short and long form tutorials, so no matter what your attention span is, we’ve got you covered. Learn how to cook some of your favorite dishes in minutes. Warning: some of the videos will leave you drooling. See something you like? Our “My Cookbook” feature allows you to save recipes and videos for later! Simply click on the heart on the upper left hand corner of your favorite recipes and they will automatically be saved for you. If you’re cooking for your friends and family, simply come to your personalized cookbook, create, and impress.